Merimbula provides a host of holiday attractions and activities for the entire family whether young, teenage or retired. 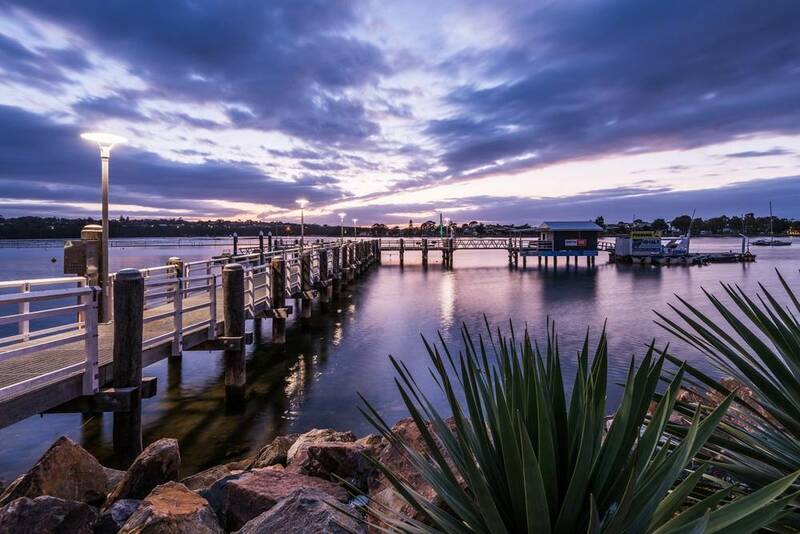 Merimbula is still an untouched area and boasts magnificent scenic walks through national parks, wildlife and family recreation parks, as well as interesting day trips both on the south coast and inland. If you are a bowler or a golfer you will find the Far South Coast has it all for you. Make your home Coast Resort Merimbula during your stay and relax in comfort. The many National Parks with endless white sandy beaches and pristine clear waters of the ocean, lakes and rivers are perfect for bush walking, fishing, bird watching, snorkeling and swimming and surfing. Take in the Merimbula lake boardwalk (4km return) and enjoy the sounds of the native bird life and sights across the lake. Any activity and sport that has to do with water. Merimbula has 9 magnificent lake and surf beaches where you can participate any water sport you can think of: Swimming, Surfing, Windsurfing, Diving, Kayaking, Snorkelling, Canoeing, Stand Up Paddling, Kite Surfing and all types of Fishing. Dolphin and Whale Watching cruises operate from Merimbula between September and November, or watch them from Merimbula Short Point. All year around Merimbula fishing with daily reef and deep sea fishing charters as well as lake and estuary fishing. Holding up to eight important exhibitions annually, the gallery also boasts one of the countrys richest and most loved portrait awards, a $50,000 non-acquisitive prize for realistic portraiture which in 2016 reaches its tenth anniversary. The gallery hosts touring exhibitions of national significance along with its own exclusively curated exhibitions as part of its cultural tourism plan that is designed to engage the tens of thousands of visitors to the region annually. The gallery is an important resource for its artistically rich and diverse community and works collegiately with fellow professional arts organisations, fLiNG Physical Theatre, Four Winds Festival and South East Arts who collectively deliver engaging, challenging and innovative programs of both artistic and educational excellence. Sapphire Coast Turf Club is located on a picturesque 300 acre site on Sapphire Coast Drive at Kalaru, between Merimbula and Bega and Tathra. It is one of the newest and most modern country racecourses in NSW with great spectator facilities. Patrons can enjoy an unobstructed view of the racing action from most parts of the course including the Members Reserve and Function Centre and from the large, banked lawn areas. Pambula-Merimbula , Mandeni , Tura Beach , Eden , Bega and Tathra . There are many other sports and adventure you can enjoy whilst in Merimbula: horse riding, bowls, tennis, squash, ride the bike tracks or try Mountain Biking at Mandeni, Tathra or Bermagui. If sightseeing and other activities are what you are looking for during your visit, try: hiring a boat, take in lake cruises, a scenic flight, native animal wildlife park Potoroo Palace. Take a scenic drive along the coast or inland to picturesque towns, rainforest, lagoons, local markets and gourmet trails. Theme Parks and Leisure Centres: Magic Mountain, Mandeni Family Fun Park, Top Fun (ten pin bowling, laser maze, mini golf etc), and the Merimbula Aquarium (check for fish feeding times). Why not visit the historical Whale Museum in Eden, Mimosa Rocks Winery between Tathra and Bermagui and for some history enjoy a trip to Tilba Tilba. Cinema (The Picture Show Man). Featuring latest release movies all year round. Magic Mountain is a locally owned and operated family fun park set amidst natural bushland with sweeping views of Merimbula Lake and Bar Beach. The Park is a widely popular tourist attraction. Visitors have fun in a safe and protected environment and are welcomed by employees who offer genuine hospitality and ensure families take away happy memories of their time on the South Coast. Video Games: With over 40 games and amusements to choose from, we guarantee that your visit with us will be one. Ten Pin Bowling: Ten Pin Bowling is something the whole family can enjoy. With special aids for kids, disabled and the elderly. Zone 3 Laser Tag: Zone 3 is the ultimate REAL LIFE LASER game for all ages. Test your skills and courage by destroying. 18 Hole Mini Golf: Grab a golf club and take a step into the magical and exciting world of Top Fun’s Miniature Golf. Visit the Aquarium open daily from 10am and see the great theatre of the deep! A 70,000 litre Oceanarium is a stand-out feature with our 28 tanks featuring local and tropical marine life of all kinds. Fish feeding always produces lots of action and is a great time to visit for more extensive information.